These areas are taken individually or combined, with the students working at a level appropriate to their needs. 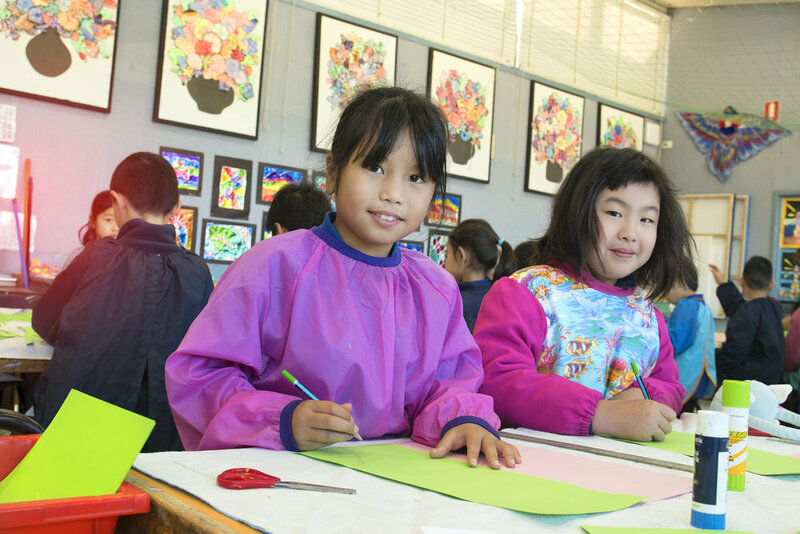 Students study work from a range of artists and are encouraged to identify specific art styles and discuss their responses to selected art work. The program fosters participation and enjoyment, problem solving, confidence, responsibility, risk taking and personal pride in themselves and their work. The program also has a strong focus on student engagement and improving social skills. Creativity is the ability to think outside the square, which is paramount in achieving success in all walks of life. Student work is on display throughout the school which the school community is welcome to view and enjoy.